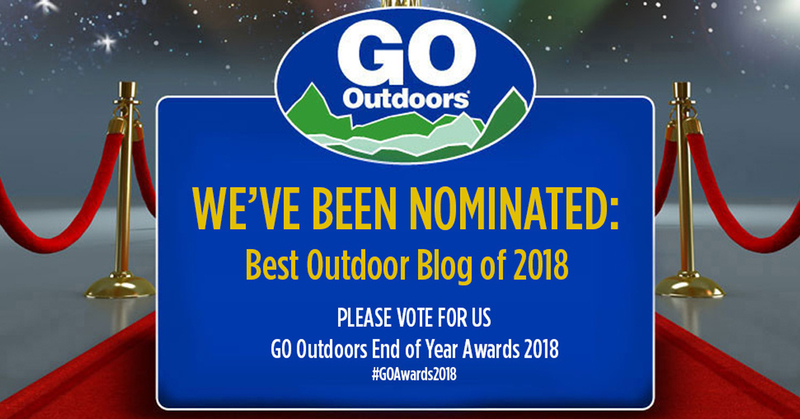 GoOutdoors Outdoor Blog of 2018 – I’ve Been Nominated! Today I can announce (and found out) I have been nominated for GoOutdoors Best Outdoor Blog of 2018. I’m honoured to be put up for the award, the first nomination this blog/website has had and hopefully not the last. I may not be the most consistent uploader, but I aim to have consistent content, raising the bar of what I do and making sure it offers something unique to you the reader. I’m all for feedback, so if you would like to see more of something in 2019, please drop me a comment on this page and I’ll get back to you. Voting closes on the 10th December and the winner will be announced that week. And for anyone who sends a vote my way, thank you in advance.